"Il sentimento della realtà, la contemplazione della bellezza" (“ The feeling of reality, the contemplation of beauty”) is the title of Sandro Bardelli’s personal exhibition at Civico Museo Parisi-Valle, which will be open from April 14 through June 10, 2018. 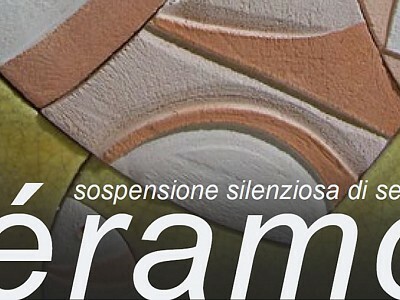 Mosaics by Gianpietro Pugni (from Cadero) will be displayed in a special area until Sunday, May 13. Catalog available at the museum. Mayor Fabio Passera and counselor of cultural events Alessandro Fazio explain: "As widely advertised, our Museum will celebrate its 20th anniversary in May 2018. For a whole year, we’ll be busy organizing a number of events in order to properly celebrate, and the first is this exhibition. We are very happy to host Sandro Bardelli’s elegant, refined works. This artist was born in Varese, but has lived and worked in Casalzuigno (Valcuvia) for many years now. We can’t stress enough the importance of this exhibit that features a wide collection of never-displayed-before works that stem from his never ending, in-depth studies on shapes and art’s main ingredients. Let’s not forget the area dedicated to Gianpietro Pugni’s artistic mosaics. His passion for this kind of art originated in the streets of Cadero, one of the many small towns that are part of Maccagno, that is today the capital of this fascinating form of art”. The never-before-exhibited works by Bardelli are divided by theme: “Water,” “Earth,” “Poetry,” “Orient,” “Abstract,” “Rice paper”.